The good news is… | eat. write. smile. … it’s not even April yet, and the sun is shining. The Basque Country is notorious for rainy summers, but I’ll take the sunshine when I can get it. We had a slightly-longer-than-usual siesta break today, so I popped down to San Sebastian for an afternoon run. It’s quite a luxury to be able to exercise between services, let alone on a beach like this one! Restaurant life and being far from loved ones at home can get me down, but a day like today recharged my batteries. 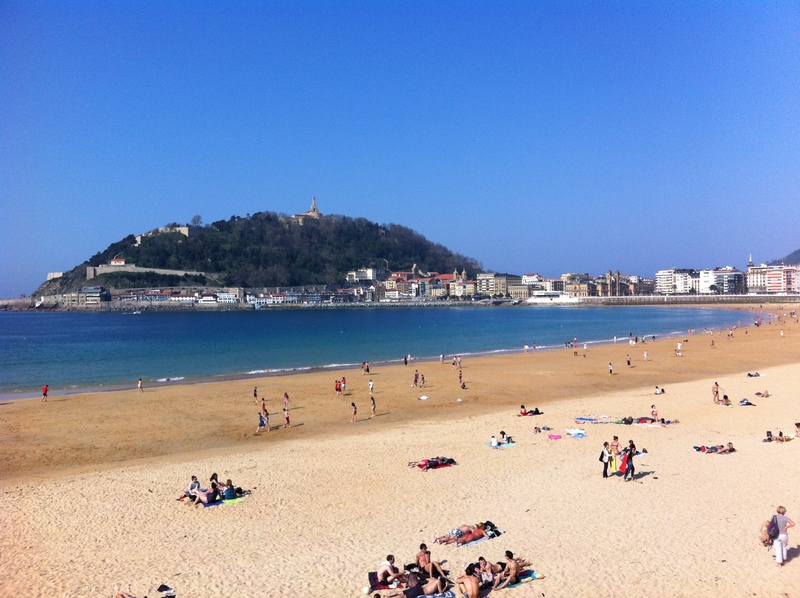 This entry was posted on March 29, 2012 by Ruthie in BasqueStage, Quick Pic, Travel and tagged Donostia, Running, San Sebastian.